First thoughts on this book was, what a beautiful cover, yes it was one of those reads where I one-clicked because the cover caught my eye in the first instance and then I read the blurb and thought, this sounds like my kind of book. But as the saying goes, never judge a book by its cover and that is so true when it comes to reading this. The cover says beautiful, pretty, hearts and flowers love story, but inside…we have angst, lots and lots of angst, we have a beautiful friends to lover’s story, we have a book that made me angry, extremely bloody angry, but I was taken on one amazing journey and I whole heartedly loved this book. It ticked my boxes and now I am anxiously awaiting the next one. This is one of those books where you cannot say too much without giving too much away, so I am going to have the brief. 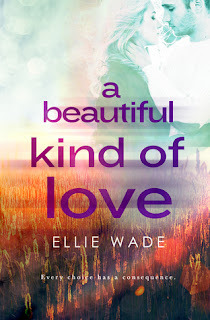 For me this book was all about the connection, not only the reader connection with the characters but also the connection between Jax and Lil themselves. These two were born a month apart to mothers that were best friends. These two spent every waking moment together and built a friendship bond that was so strong it was unbreakable. It was the friendship that we all wanted, that person who was your person. No matter the time or place you knew they would always be there for you and these two were just like that. Each other came first and foremost, they had each others back, and they truly were soul mates. Whenever you have a friendship such as this where we have one male and one female you always have the inkling that as they get older and hormones get involved that those lines of friendship are going to get blurry and I take my hat off to these two because they lasted a long time as “friends.” It was only a matter of time though before Jax and Lil saw what everyone else did and when those lines do start to blur, was when I started to panic, I knew the angst would begin. These two were so perfectly suited to each other, they were fantastic together, and I loved them so much. I was championing them from the start and even though I could see the peaks and troughs coming I whole heartedly thought that these two would be strong enough to get through anything. Long distance relationships are hard at the best of times but these two communicated daily, they were always at the end of the phone but when Lil decides she wants the college experience too and moves away, this is where we get more troughs than peaks and I read on with my heart in my mouth, my nerves frayed, my nails bitten and with fear and trepidation. 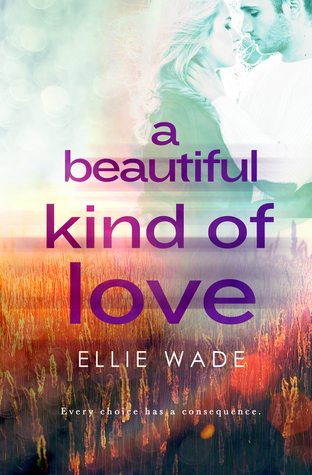 This is one tough ride and kudos to Ellie Wade because I was hooked; I could not put this book down. At times I was infuriated and so damn angry but that is testament to this authors writing because she evoked every single emotion out of me during this read. I liked, I loved, I laughed, I cried, tears of sadness, tears of laughter and tears of sheer frustration and anger but I knew that I had been on one incredible journey. With any relationships, mistakes will be made, but when you have a love like this you always hope that the good will outweigh the bad and somehow things will all be ok at the end. This book did rip my heart out in all the best ways, the tears flowed, the tissues were abundant and I now I am anxiously awaiting the next book. Imagine my pleasure when I saw it was due for release this week. It has been put back a week so now I have a few days to wait…just a few more long days…did I say long…I need to know what happens! !